-- to late July, when the sun does that silvery thing to the air above the bay. That's when the business of the summer gets going. The August part of the wheel is flat, and flat-out. Guests, food, stamina, thrills. Writers at Woody Point. Logistics. A summer camp for arty grownups, as everyone has observed. A full, full heart. And then the shadows under the cherry trees shift and the wheel wobbles, the journey back west flashing by, the summer shine greying, September always a settling back in as much as a new start. The fall's peaches, its new books, its prize-list debates: the Polaris and, soon, the Giller. The turn through October, its lolling chrysanthemums and ivy going auburn against the biscuit-coloured brick of the Hamilton house, and soon, my 25th Thanksgiving with my beloved Mary. The horizon draws in narrower as the light sinks, the wheel darkening like a November afternoon, clicking now toward a thicket of family birthdays, Christmas and the New Year just as our bike wheels did when we used to clothes-pin playing cards against the spokes and sail around the block. The fight against winter sleepiness, the glint of coloured bulbs on balsam fir and snow, my gratitude toward neighbours who leave them up through January: Why not? Then the schnauzer is leaping into drifts along the Cootes trails, beard and ears and tummy crusted with snow, and there's a subtle shift of light, and thus relief, even in freezing February. It will be a long turn, bumpy and un-fluid, through late winter. On a few sunny late afternoons around two o'clock the sun will angle through the floral stained glass in our little dining room's high west window. 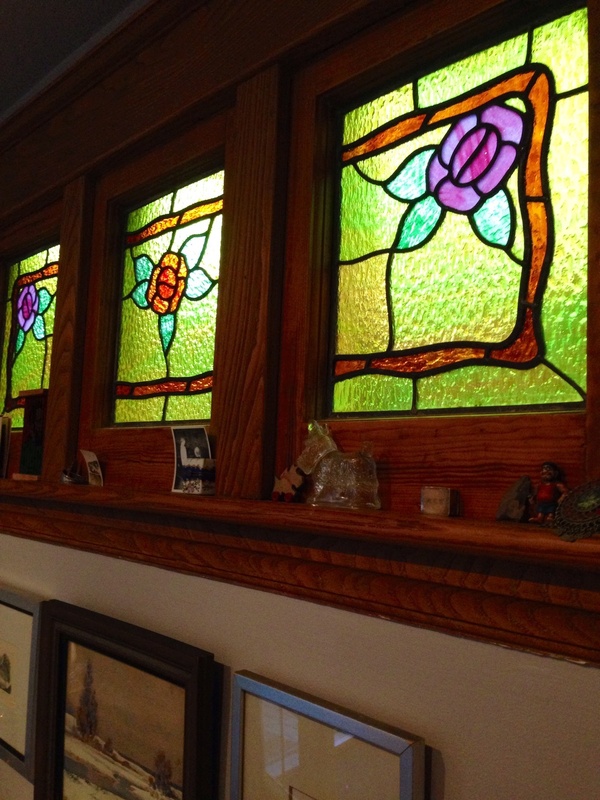 It's a classic Westdale window (pretty but not weather-tight); buyers must have prized them in the 1930s. A narrow, absurdly theatrical beam of gold light will slice briefly toward the staircase, striking the wall just above a vivid painting of a Corner Brook streetscape (thank you, Rodney Mercer), stretching eastward, as we will, when the wheel has turned.